The store still has their original display cases. Public Transit: Nearest buses are the Western (49B), Montrose (78), and the Lawrence (81); Nearest train is the Brown line Western stop. Visiting Variety Comics made me a little nervous. Words like dark, dank, and haphazard were thrown around by those who had been there. The store's owner had a reputation for being testy, and the hours were known to be sporadic. It is now too late for me to form my own opinions of Rick. He passed away last year after having owned the store for 30 plus years. The new proprietor is Vinny, a lifetime customer of Variety Comics and close friend of Rick's. 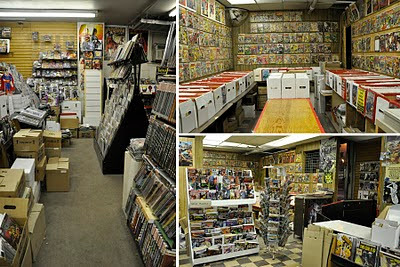 Not only did I miss the chance to meet the original owner, but I have been missing out on countless opportunities to scour the store's surprisingly impressive collection of new and old comics. Many of my observations about the store can be seen as valid criticisms by shoppers. The store is definitely a mess. There are stacks upon stacks of books, trades, magazines, and boxes. You will feel the need to wash your hands after going through the back issues. 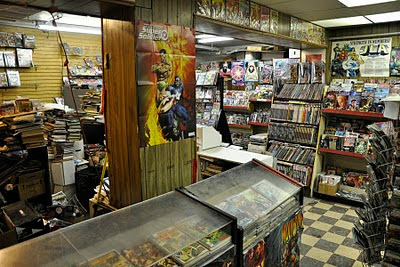 Advertisements on the wall encourage shoppers to pick up "new" titles such as Lady Death from Chaos Comics. Promo stills from Batman (1989) grace the walls, and you can still pick up the premiere issue of Comics Foundry, a superb magazine that began in 2007 and has been canceled for at least 2 years now. I am so glad this store is a mess. It allows ample opportunities for finding treasures, and I dare anyone who comes in to not find something they want or need to complete their collection. It's not just the back issues holding hidden gems; the newer issues stay on the shelves here a lot longer, too. If there's a hot new issue that's selling out everywhere, your chances of finding it here are better than most. The same goes for trade paperbacks and hardcovers. The selection of new titles lean more towards the mainstream of DC and Marvel, but they carry the indie heavy hitters as well like The Walking Dead and League of Extraordinary Gentleman. ﻿﻿Variety's reluctance to modernize will definitely put off some shoppers, especially those who lack an appreciation for wood paneling. 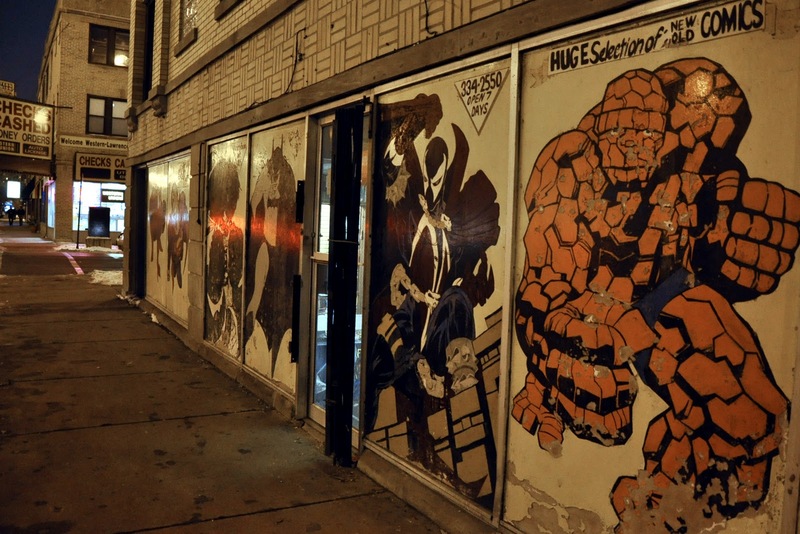 Unlike the burbs, there aren't many "old school" style stores left in the city. 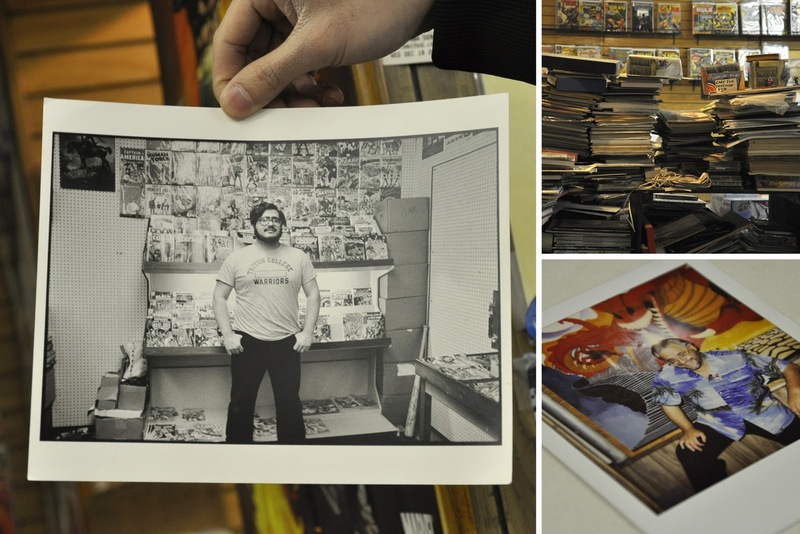 You hear stories about places like Larry's Comics, but Variety may be the last of a dying breed. Stores where you don't see statues or t-shirts, where there is absolutely no seating anywhere because lounging is discouraged. Club pull lists consist of telling Vinny what you want, and he'll "set it aside for you". The time warp back to 1982 will be very comforting for shoppers that miss the former exclusivity of the comic book world, before comic book characters were bigger in the movies than on news stands. Kids today have Spider-Man shoes but have never read a comic book. Things are different and there's no better reminder than places like Variety Comics where little has changed since 1975. Seen above left, Rick in the store in 1977. The lack of organization can be a discouraging for some, but for others it's the perfect opportunity for discovery. ﻿﻿﻿﻿﻿﻿Whether you love or hate Variety Comics (and I doubt there are many in between), you can't deny that the store deserves respect. Despite a changing industry and a changing world around it, they have stayed true to themselves, and as Vinny proves, loyal to their longtime customers. I recommend this store, and for more reasons than nostalagia. 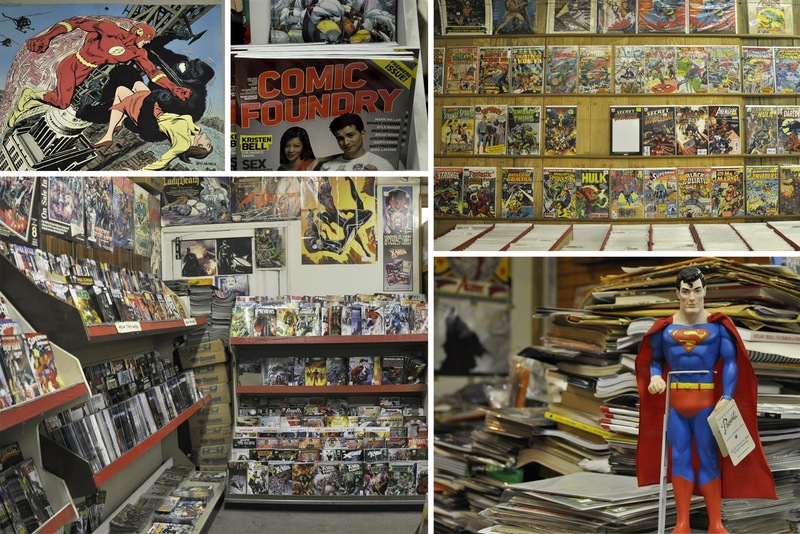 It is a comic book store within a vacuum, a shrine to the reverence we once held for comic books without the frills. You may not have many more chances to visit a store like Variety Comics, so experience it while you can.